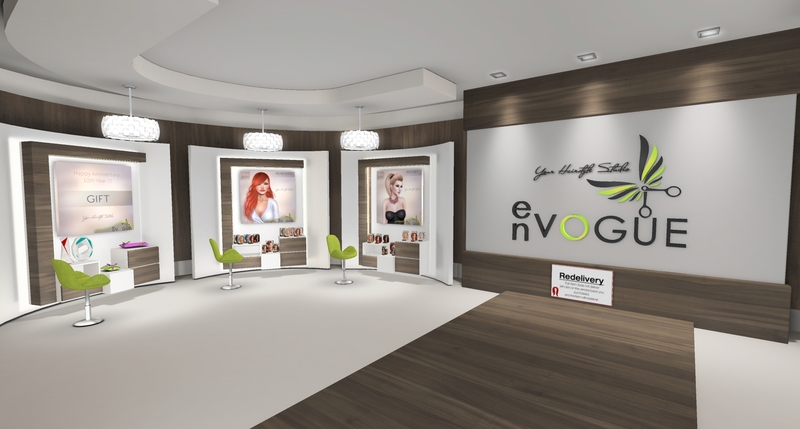 What’s the best way to design and lay out a store in the virtual world? One of my responsibilities in our virtual world is building most of the shops, so this is a topic always on my mind. 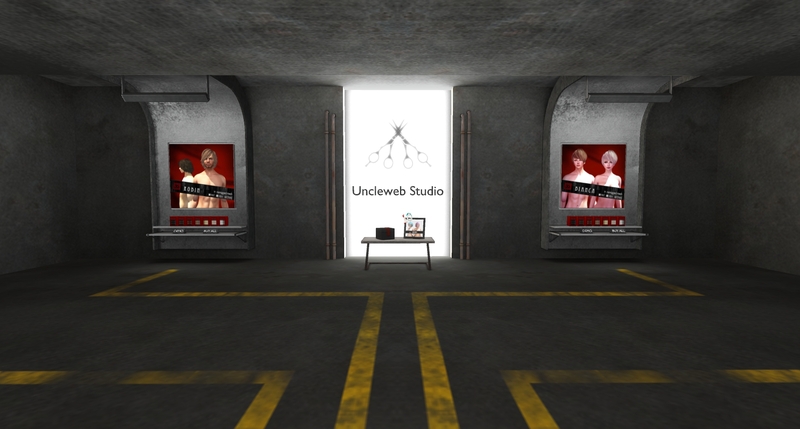 In search of some fresh ideas, I recently visited the Hair Fair in Second Life. 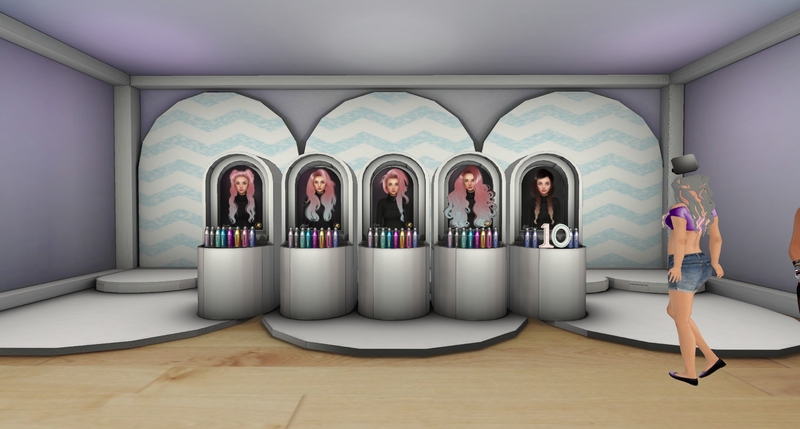 Although the hair creations showcased at the event are interesting, I am always more fascinated by the venue–the design of the sims and the individual shops. I complain that I struggle with creativity, that I am more of an engineer than an architect. But instead of just whining about my deficits, I do my best to try to learn what I can about design, style and composition, so that I can become a better builder. For my own education, I photographed all 60 shops at the Hair Fair, and made notes about what I liked and didn’t like about each design. I was struck by how each tiny shop was uniquely and meticulously designed, and how lovely they all were. I decided to share some of my observations here, for the benefit of my friends on Littlefield Grid. 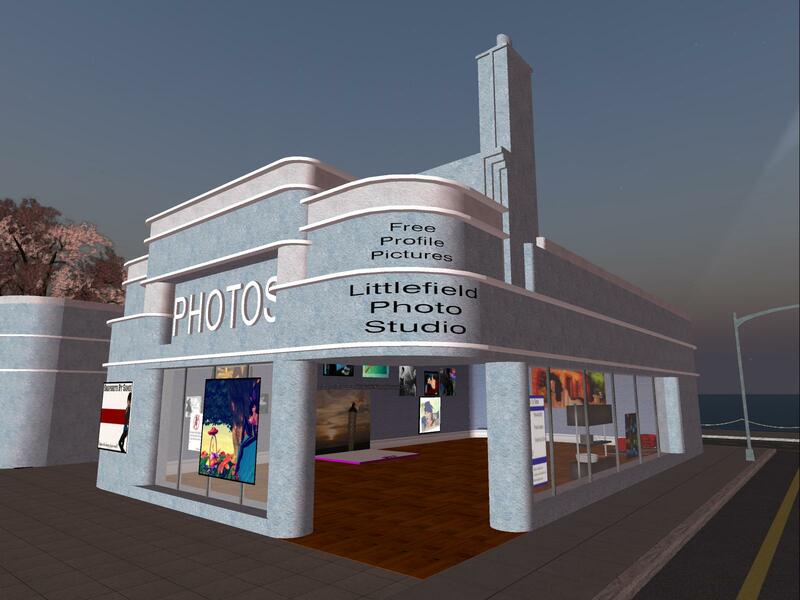 We are blessed on Littlefield Grid to have a lot of creative people, who generously share their creations with other members, so we have lots of shops. While there is nothing wrong with pasting vendor signs on the walls of a rectangular room, it can be fun to challenge yourself to think creatively, and come up with new and different ways to arrange a store. Please allow me to support you, by sharing some of my observations. 1. GET OFF THE WALL! There is no law that says you have to paste vendor signs onto a wall. Sometimes someone will complain to me that they have used up all their wall space. While making a bigger store for them is not a problem, there are lots of other ways to use the space. Use the middle of the room! Products and vendors can sit on various types of tables, shelves and racks. This also allows you to use the wall for other things, like windows, to enhance the appearance of your shop. Frank Lloyd Wright famously waged war against the tyranny of the “box.” When every room is a rectangle with corners, it gets pretty boring and can feel confining. Although the space assigned for your shop may be rectangular (as all these examples were), you can take steps to make the shape more interesting. When the corners disappear, the room feels more spacious. These shops varied the shape of one end of the room, making it round instead of square. Who says that the floor has to be flat? Or the walls or ceiling, for that matter? Here they made the corners vanish into darkness. This shop got rid of the corners… and the walls and the ceiling and the floor… leaving nothing but product. If you have to use the wall, consider creating alcoves to frame your product. Above all, make the experience of visiting your shop an interesting one for your guests. It’s a great way to make life more enjoyable in our virtual world. Your creations are and should be the center of attention. I hope this shows you some ways to make them stand out! 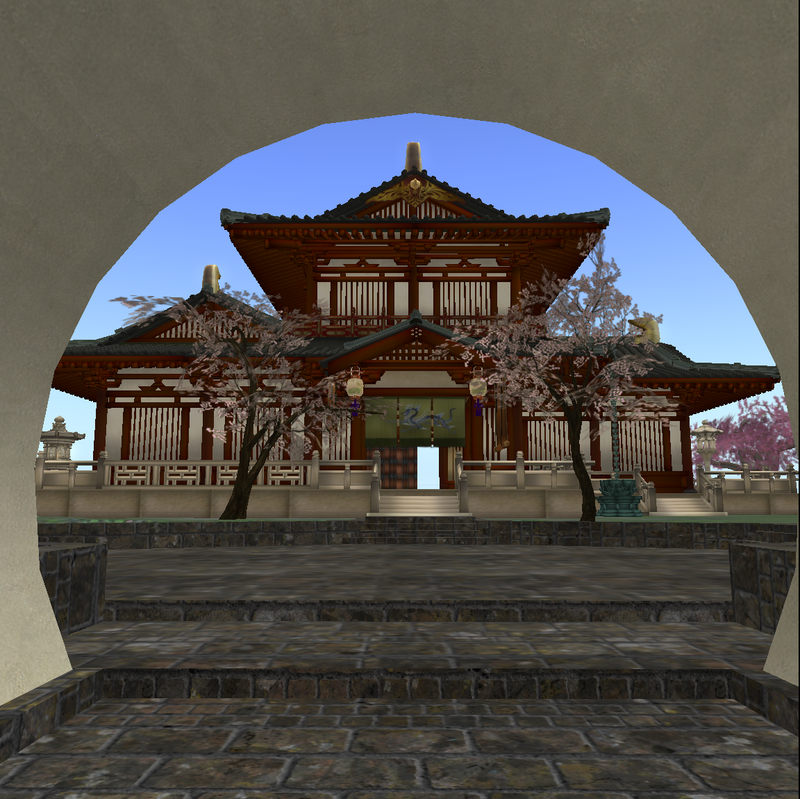 I just learned that one of my projects, the Chinese Garden on Qoheleth, and its owner will be featured in a Second Life magazine. 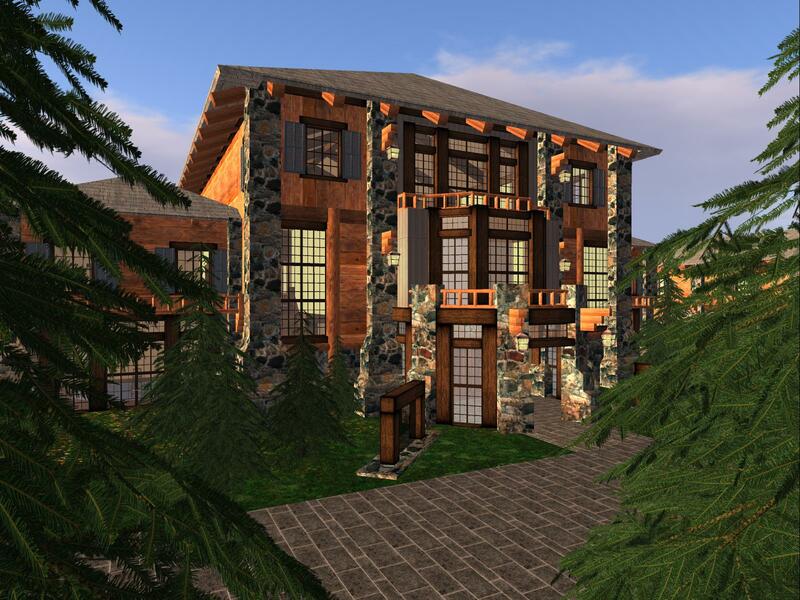 I call it a project, rather than a build, because although I designed the layout of the property and landscaping, I didn’t do the heavy lifting of actual building. The remarkable Chinese architecture on that project was the work of the fabulous Ryusho Ort. I just deployed it. Nonetheless people still think of me as the “creator” of the place, which is very flattering. I am blessed that so many people take pleasure from things that I have built. It gives me pleasure to build them, so it’s good to know that I can share that good feeling with others. From time to time, people will express their appreciation to me. Of course it always feels good to hear nice compliments. It’s also important to get feedback from the people who use the builds, so that I can continue to improve my skills and make even better and more enjoyable spaces. So I’m always grateful to hear from people. But there is one compliment that gives me the most pleasure of all. It is not “You are a wonderful builder, Camryn!” or any other compliment about me. As nice as it is for people to think so, that’s not what a builder like me longs to hear. The best compliment may not even be expressed in words. It is shown in actions. The best compliment is when it’s clear that the build works, because people use it. People hang out there. People enjoy life there. They bring their friends, and tell people about the place. That’s when I know I did good. The Chinese Garden gets many such compliments. People who do not know I created the place have said to me, “I love hanging out here,” and “it’s so peaceful.” A group of Chinese members did a photo shoot there. A magazine wants to write about it. One year ago, on April 6, 2013, Littlefield Grid was born. With the birth of the grid, we embarked on an amazing adventure. In just one year, Littlefield Grid has attracted a wonderful, active community of over a thousand members. In our very first year we have become one of the most active and popular Opensimulator grids. We have a fabulously talented group of people making this grid what it is. It makes my head spin to realize how much has been accomplished already. I can’t wait to see what happens next! For me the first year has been a frenzy of building: creating the spaces to be the theater for the friendships and relationships that are the lifeblood of our grid; making something out of nothing. The occasion of the first anniversary made me sit back for a moment and take stock. I am impressed with how much the grid has grown. But I am also impressed with how much *I* have grown. At my advanced age (rapidly approaching a milestone) I have developed a completely new interest – architecture. This is all because of my Master, Walter Balazic, who encouraged me to build a very BIG thing: a reproduction of Frank Lloyd Wright’s masterpiece, Fallingwater. I had never tried to build anything of that magnitude before, neither in size nor in significance. It was a daunting task. 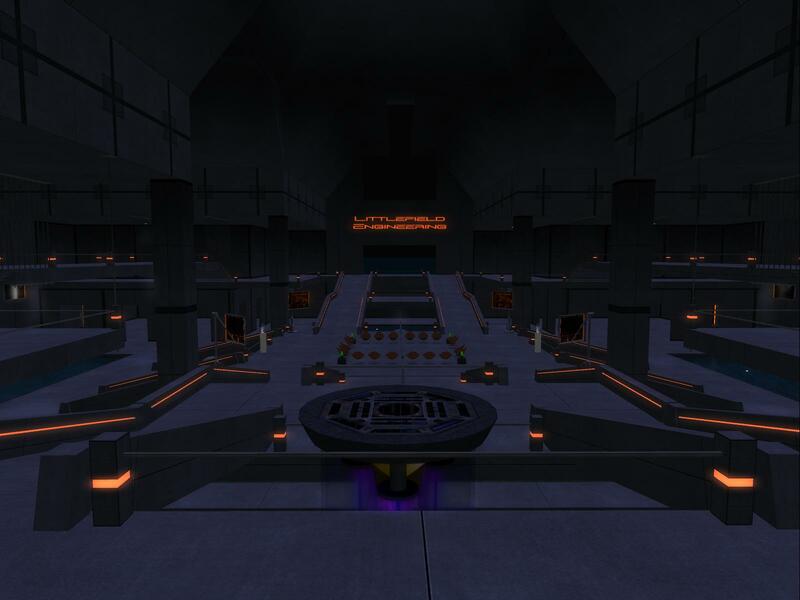 But he inspired me and encouraged me and before I knew it, not only had I built it, but I had won an award, built a whole city covering nine regions and immersed myself in learning several new styles of architecture. Imagine! Truly, one is never too old to grow. We are just getting started. But I just want to take a moment to reflect on a few of the architectural projects I have completed for Littlefield Grid. This is basically the web version of my in-world exhibit for the Littlefield First Anniversary Expo. PAINTED LADIES are American Victorian homes in the Queen Anne Revival style painted in three or more colors to enhance their architectural features. First used to describe San Francisco’s colorful Victorians, the term also refers to Queen Anne Revival homes in other American cities such as Cape May, New Jersey. Distinctive features of American Queen Anne Revival style include a wraparound front porch, a corner tower (often round), painted gables, spindles and balustrades, windows crowned with pediments or gables, bay windows, and combinations of patterned wood shingles in a fish scale design. 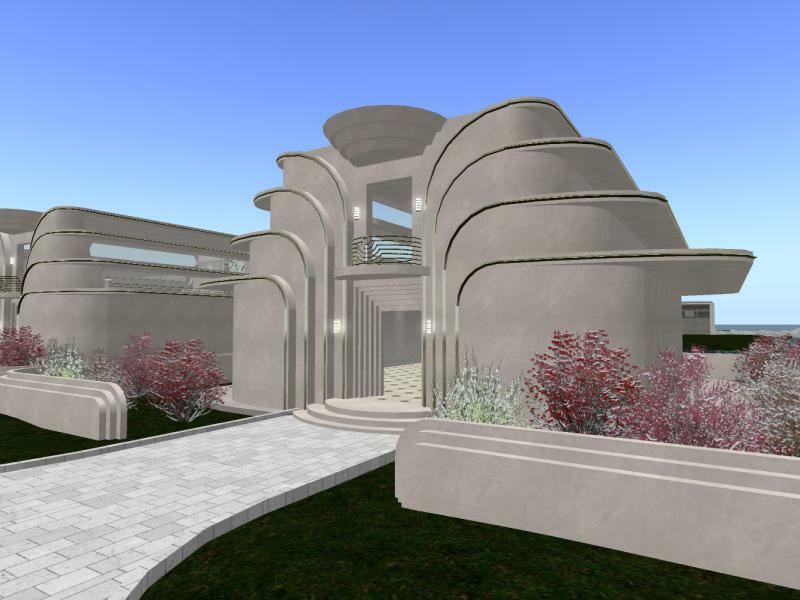 STREAMLINE MODERNE was a late type of Art Deco architecture and design that emerged in the 1930s, stripping Art Deco design of its ornament in favor of an aerodynamic expression of motion and speed. The style emphasized long, sleek profiles and rounded corners. Applied to everything from automobiles and trains to toasters and radios, the futuristically aerodynamic style of Streamlining was associated with prosperity and an exciting future. BRUTALIST architecture flourished from the 1950s to the mid-1970s. Examples are typically large buildings, massive in character, fortress-like, with a predominance of exposed concrete construction, used for its raw and unpretentious honesty to communicate strength and functionality. ‘PARKITECTURE’ is the nickname for the style National Park Service Rustic that was employed in the National Parks of the U.S. to create visitor facilities without visually interrupting the natural or historic surroundings. 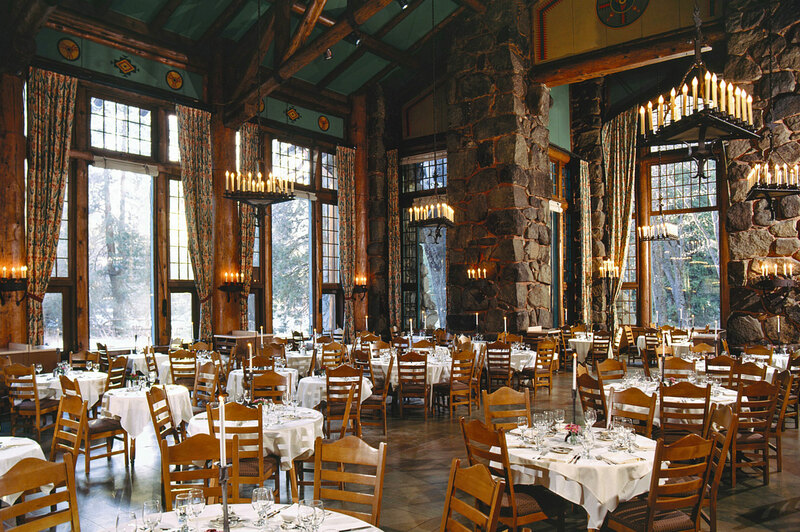 The style matured in the 1930s with the construction of the luxurious Ahwahnee Hotel in Yosemite. To attract Eastern visitors to the National Parks of the ‘wild’ West, America’s railroads built grand hotels like the Ahwahnee, offering every amenity of the era, in the guise of a rustic mountain lodge. Littlefield, grow old with me. The best is yet to be! I struggle a lot with Christmas. Wait, let me rephrase that. Truthfully, I don’t struggle with Christmas at all. What I struggle with is fitting in during the holiday season. Nearly everyone else observes Christmas in a completely different way from me. I have reasons for following a different path, but it’s very difficult to hold true to myself without offending the people around me. They tend to think that because I don’t do things their way, I must be criticizing them. I’m not, but their attitudes toward my customs range from indignation to puzzlement. Well, let me try to clear it up. Up until about 25 years ago, Christmas had a very unpleasant stranglehold on me. Then one year, I finally broke free. At the time, my loved ones thought I’d lost my mind. I hadn’t, but I knew I would lose my mind for sure if I didn’t change my ways. You see, my family, when I was growing up, was enslaved by a holiday defined by quantity and a drive to impress others with perfect decorations, food, presents and parties. My mother actually counted the number of gifts under our tree as a way of “rating” the quality of that year’s holiday. And it wasn’t only about gifts; to qualify for a “good” Christmas, our house had to be decorated better than any other house, inside and out, and we had to give “the” party of the season with the most impressive gourmet food and drinks. And of course we had to put on a good show, exhibiting “holiday cheer”—whether we felt it, or not. From the outside it looked great; with decorations, parties and gifts my mother certainly knew how to “impress with excess.” But in the frantic rush to do everything, perform perfectly and be artificially happy, everyone got far too stressed, and made each other thoroughly miserable. When I became a young adult, not knowing any better I began to duplicate that craziness. I, too, made myself crazy trying to give outrageous gifts and do everything perfectly for the holiday. I didn’t have financial resources like my parents so I tended to spend a lot more money than I should have. As things in my life started going sideways, the stress of trying to be perfect, and exhibit holiday cheer when I felt none became a bigger and bigger burden. Finally, in one particularly depressed year, I couldn’t face it, and I said: no more. I knew that I had to change. I just wasn’t sure how to do it. My head was swimming, trying to grasp the difference between trying to impress someone, and trying to please them. My mother’s methods had always seemed a little aggressive to me, as if gift-giving were a contest that she was trying to win. It seemed less about pleasing the recipient and more about showing off how much money she had. I knew that was not the way I wanted to keep Christmas. I had to replace that competitive attitude with something more meaningful. I just didn’t know what that was. The only thing I could think of was to start totally fresh, with a blank slate. I declared a moratorium. I announced that I would accept no gifts, nor would I be giving any. That year I did not decorate, or prepare any special treats. I had no Christmas tree, did no shopping, and listened to no Christmas music. I rejected all offers of Christmas dinners, parties and other gatherings. It was a truly minimalist Christmas. My only acknowledgement of that season was going to church on Christmas Eve, alone, in a small church nearby. I didn’t speak to anyone after the midnight service. I slipped out the back, and set out alone to walk the few blocks home. I remember feeling so light, and peaceful. It was a beautiful night, crisp and clear; it needed no artificial decorations to make it beautiful. The sky was deep black, studded with diamond stars, stretching to eternity, more stunning than any Christmas tree. It was still, and quiet. Quiet enough, finally, for me to hear what I needed to hear, without the noise of all that pointless activity. In that silence I felt like an enormous weight had been lifted and I breathed freely of the cold night air, feeling at peace for the first time in a long time. Wrapped in that crisp, bright darkness, gazing up at the infinite night sky, I suddenly comprehended what it meant for eternity to enter into time. In one blazing flash of insight, I realized that Christmas is about one thing. To immerse myself in that one thing is all that I need. Anything that flows from and serves that one thing is good. Everything else is a distraction. And at that moment, I realized that I was free. Since that cold dark night 25 years ago I have settled into my own lovely, small Christmas celebration. Others are welcome to do as they wish, but I know what works for me. I ignore most elements of commercial and secular Christmas, not because there is anything wrong with them, but because I find them irrelevant. I have come to understand what is important for me, and I focus on those things. Gift giving, for me, now, is not a way to impress, but a way to honor the gift that originated this holiday. I exchange modest gifts with a handful of loved ones, as I am able, not out of any sense of obligation, but because I enjoy pleasing them. My loved ones mostly feel the same, and I am always genuinely pleased by them, too. I do not decorate. I have no use for Santa, elves, reindeer, or anything else commercial. I don’t object to them, but they are meaningless to me, and certainly not worth expending any money, time, attention or effort. For me, they have nothing to do with the one thing that gives Christmas meaning. I keep a few quiet traditions that are deeply meaningful to me, but they are private, and ancient, and intimate, and since most people would not understand them, I tend to keep them to myself. I don’t need anyone else to understand them, and I feel no need to convert anyone else to my way of observing the holiday. I do what I do because it’s right for me. People with families have different priorities, of course, but I feel no pressure to participate in holiday gatherings just because it is Christmas. I treasure time with my loved ones all year long, but I am perfectly comfortable with solitude. In fact, my most intimate Christmas ritual is spent alone, at home, on Christmas Eve morning, listening to a famous radio broadcast. I say alone, but I am not alone. I join an invisible audience of 200 million people who, like me, are in front of radios and computers all over the world, listening to the same broadcast at the same time. Even though I can’t see them, I know we are all attuned to the same thing. I immerse myself in the beauty of that one thing, and I wait to bow my head humbly, honoring that moment when the eternal and the now became one. I don’t expect anyone to understand it, and certainly don’t expect anyone to change how they celebrate the holiday. Others will find meaning in other ways. But hopefully they will understand that I am not judging or criticizing. I am simply honoring what is meaningful to me. As the commercial holiday season gets underway, I wish everyone happiness, and joy, and peace. As a solitary person with no “real-world” relatives, my observance of Thanksgiving differs from most. I have RL friends who are as family to me, but for the past several years circumstances have prevented us from celebrating holidays together. 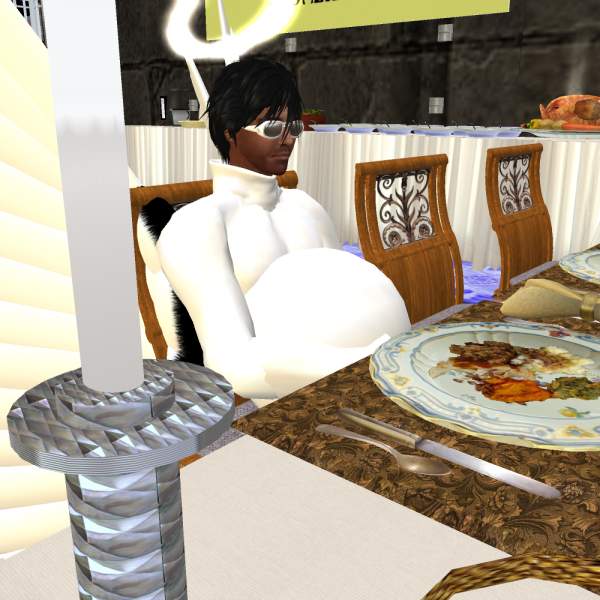 Since coming to the virtual world in 2006, my Thanksgiving has been almost entirely virtual. In the early years, I sat down for a virtual dinner with one or two friends. 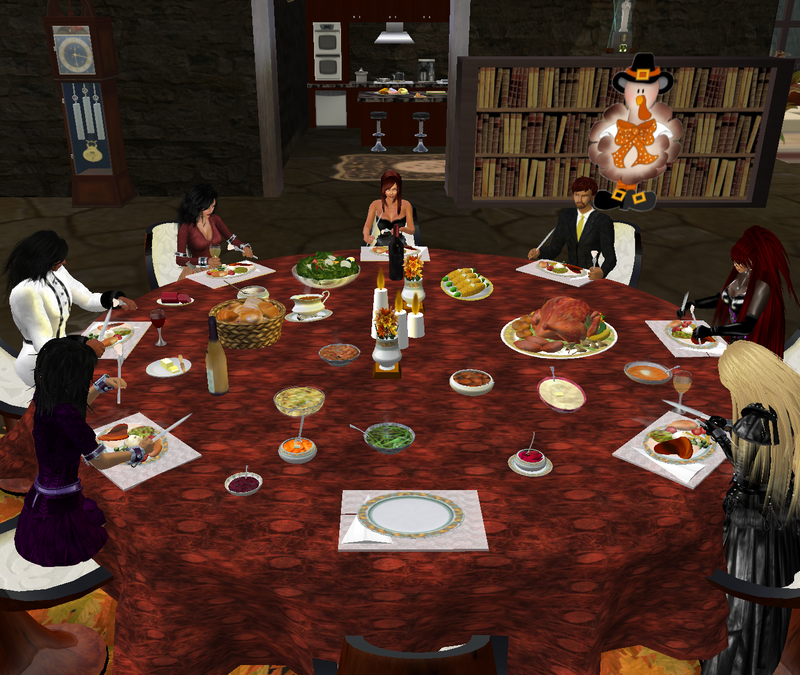 Then after Master took me as his, we had very lovely Thanksgiving dinners in our home in Second Life. You may think a virtual feast is easy, but I worked hard cooking the meal! Today in Littlefield Grid, our “family” has widened to include everyone on the grid. We have a table set up at Stonehaven and some folks dropped by to share good conversation and friendship. Apparently the virtual meal is still quite satisfying! I am so grateful for all the fabulous people I have known in the virtual world. Thank you, each and every one of you, for the beauty and joy and fun you have brought into my life. And thank you, Master, for loving me–it is what makes everything possible. 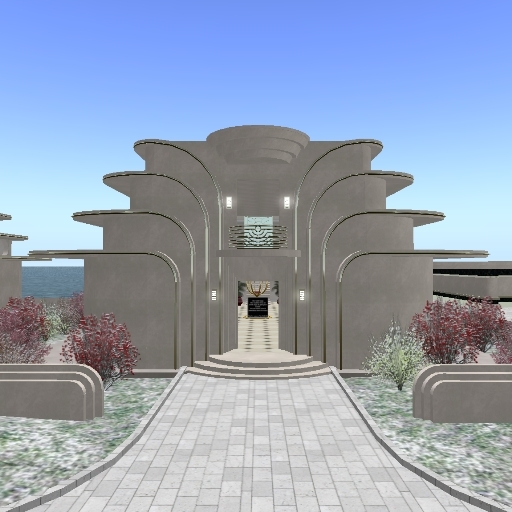 It was late April of 2010 when Walter first led us to explore grids other than Second Life. At that time, visiting other grids was pretty grim for those of us who find our pleasure the virtual world more by art and design than by technology. It’s hard to believe just how far we have come in three short years. 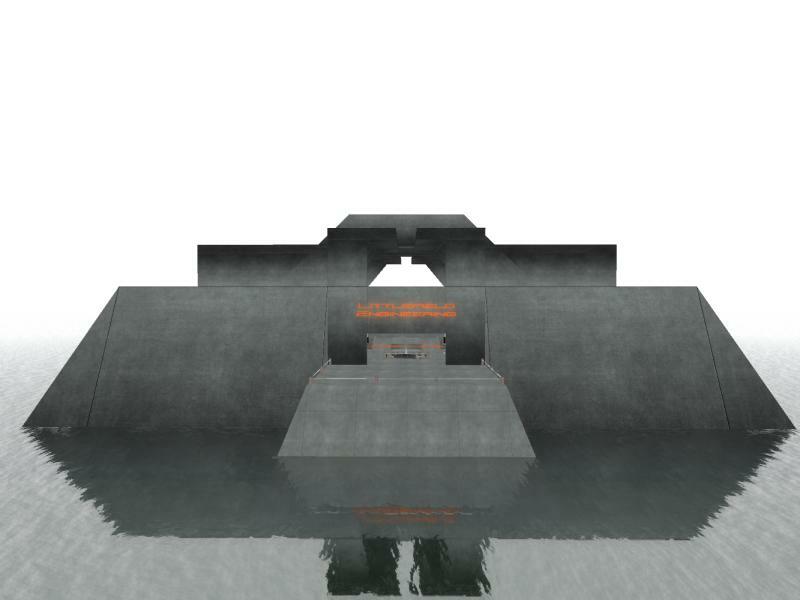 What was the barren frontier has become a perfectly reasonable alternative to Second Life. It’s been awhile since I posted anything about what I have been up to on our grid. So I’m taking this opportunity just to share a few snapshots of what I’ve been building. 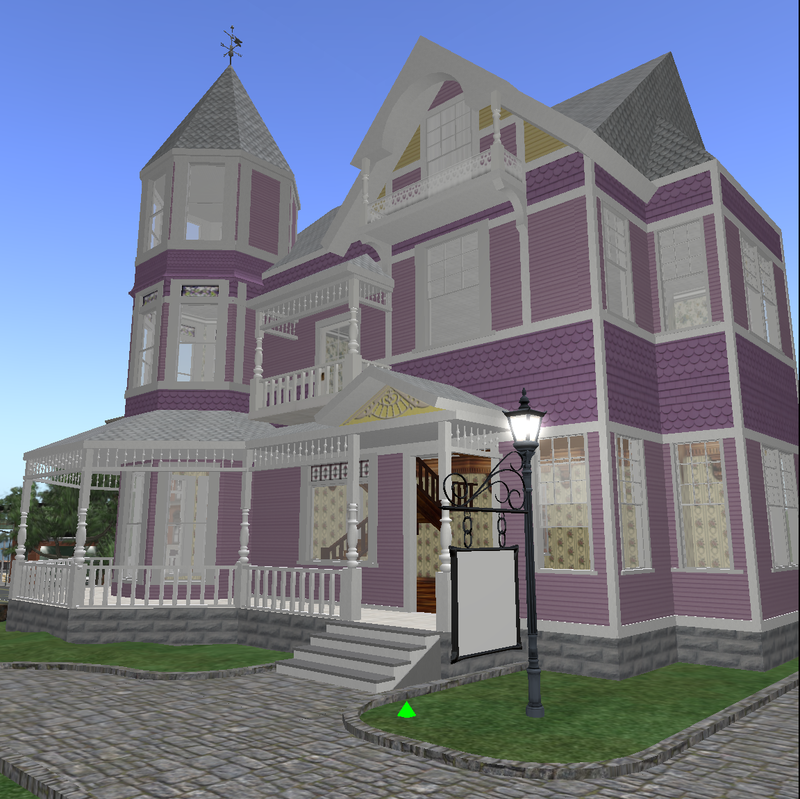 In April of 2013, almost exactly 3 years after we first tried Opensim, in a vast leap of faith, we opened our own independent virtual world: Littlefield Grid. Here is our Admin Team arriving at the Grand Opening gala. We just added our 500th member a couple of weeks ago, and are closing in on 600 already. Littlefield Grid consists of about 140 regions, centered around a central shopping district and five welcome and hangout regions. 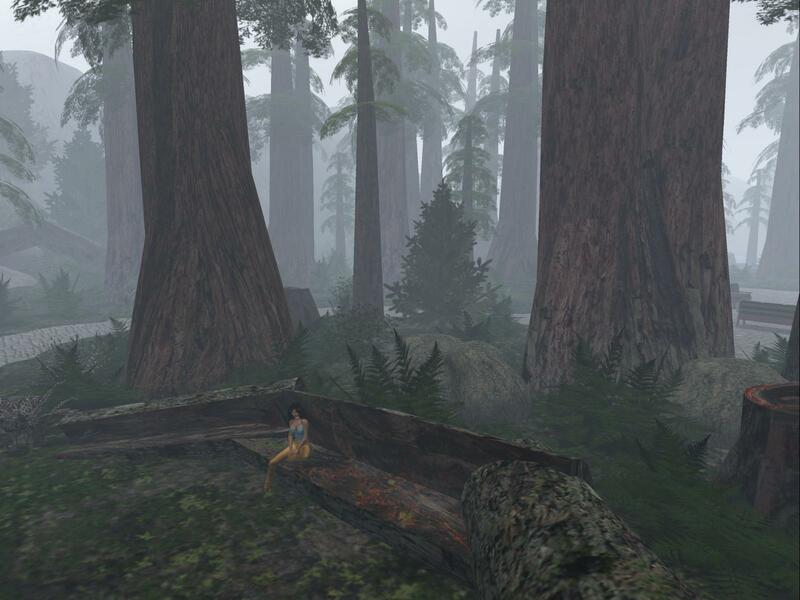 The welcome regions include Littlefield Hangout, a beautiful redwood grove. Littlefield Engineering is a hangout for those who like to talk tech. It was my experiment in Brutalist architecture. One of Littlefield’s distinctions is our enthusiastic band of content creators. I have built lots of stores for them, where they share their creations with members for free. For me, building a store is often an opportunity to explore a new architectural style. I created a few stores in Art Deco style for my beloved who especially likes that style. 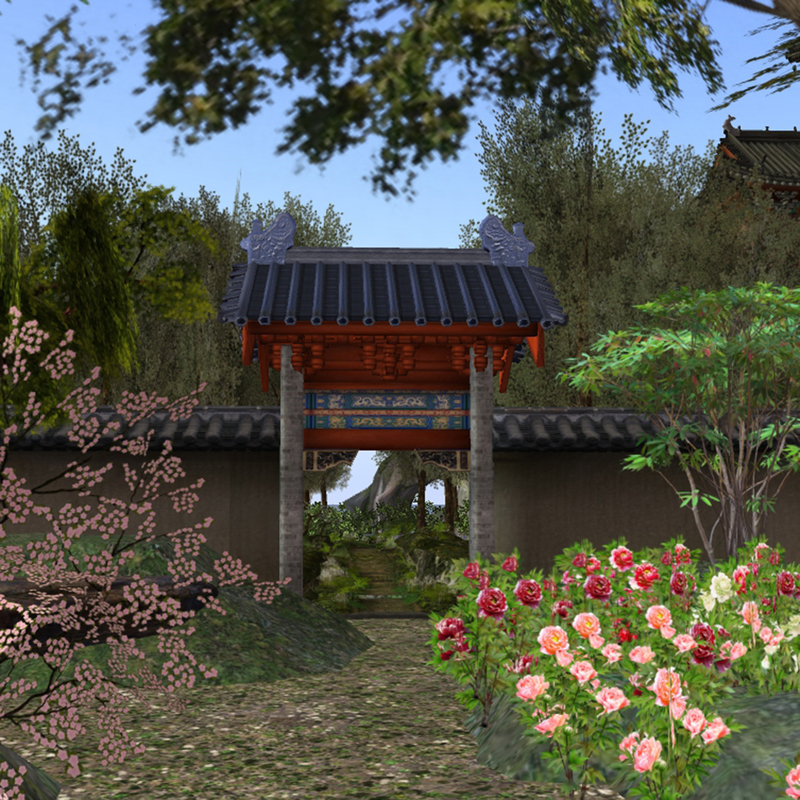 One of the biggest challenges, when we left SL for the Opensimulator world, was vegetation. 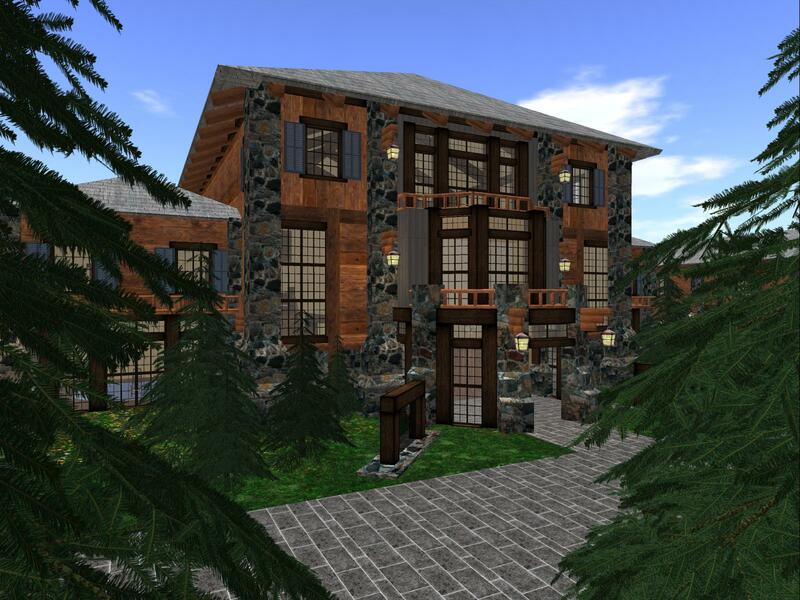 The quality of available landscaping materials in Opensim worlds in 2010 was distressingly poor, especially compared to what was available in SL. 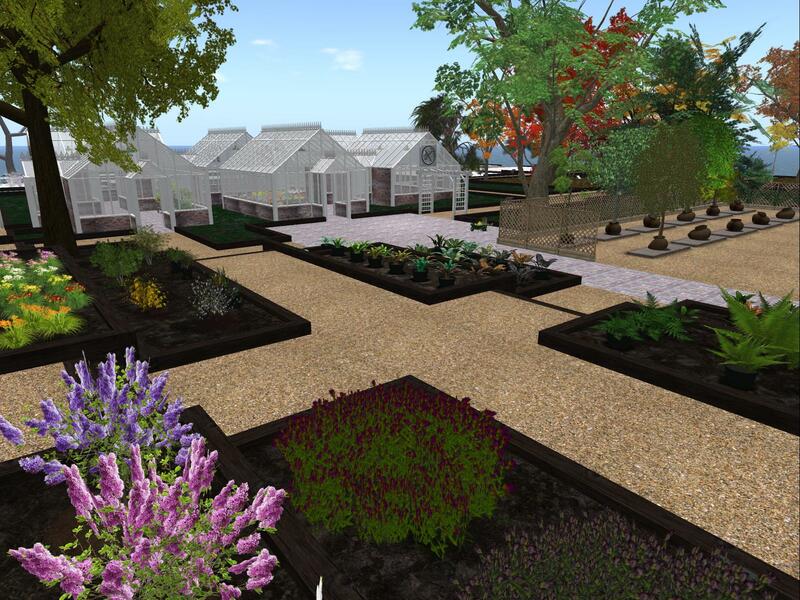 But three years later, things are looking up; we now have one whole sim of good plants and decent trees (and they are all free to our residents). I enjoyed learning about Victorian style when building this Queen Anne and a Victorian shopping street. 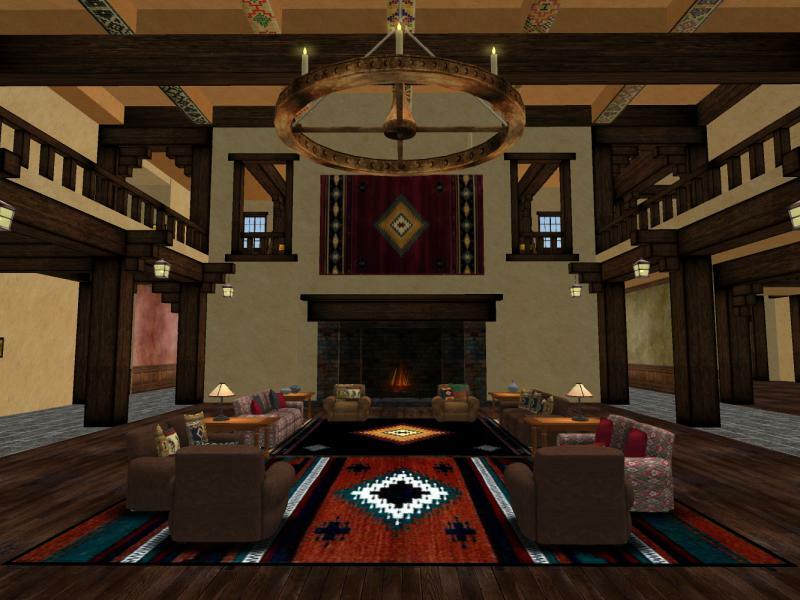 One of my most recent builds was a conference center in the style of a mountain lodge – my little homage to the luxury hotels in the National Parks of the Western U.S.
For more snapshots of Littlefield Grid, with many more photos of my builds, visit Camryn’s Flickr stream.